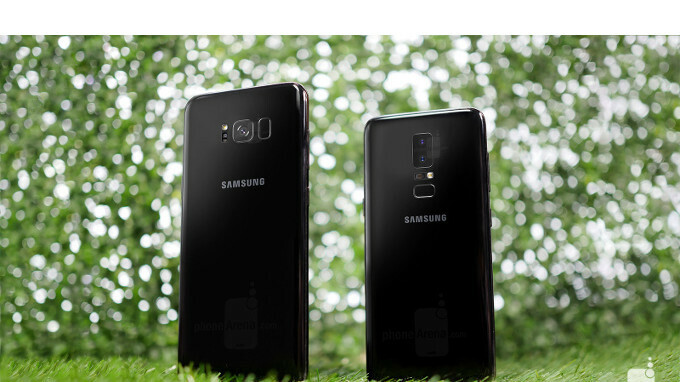 As we all know, the Samsung Galaxy S9 duo is nearing announcement — even Samsung's own president of mobile, DJ Koh, confirmed that the new phones will be unveiled at MWC 2018, which starts on the 26th of February. But history has shown us that announcements and actual product launches are two different things. So, how long will it take for the Galaxy S9 and Galaxy S9+ to land on store shelves? So, the 26th of February is the day MWC starts. It's hardly a surprise Samsung would choose to announce the Galaxy S9 phones right then and there. Most manufacturers do that so that conference-goers will have the next few days at MWC to visit the Samsung booth and test out the new devices. Pre-orders start on the 1st of March — the very same day that marks the end of the Mobile World Congress. Then, shipments kick off on the 16th of March, a little more than two weeks after the pre-order period starts — again, pretty much the schedule we've seen from Samsung over previous launches. The 16th is a Friday and it's possible that Samsung chose that date so enthusiasts would be able to visit their local electronics stores and check out the new phones over the weekend. But wait a second — you may exclaim — the Galaxy S8 was released on the 21st of April, 2017. This means that the Galaxy S9 will be launched well before the 1st year of its predecessor is up. Well, yes, but that's technically because the Galaxy S8 was late, not because the S9 is early. See, back after the Note 7 battery boom debacle, Samsung took some time to improve and secure its building processes, and deliberately pushed back the Galaxy S8's launch date. Now that these issues are — hopefully — behind us, the Galaxy S9 can put the Samsung flagship release schedule back on track. So, this information sounds pretty plausible. Who's ready to throw some money at the new Edge screen, Infinity Display craziness from Sammy? S9 + . Should be the best phone of the year until the Note 9 arrives. Not that excited though , Don't think it'll be a big jump over the Note 8 which i'm currently using. I'm curious to see how the camera('s) will be and what other changes they've made. As aspect it if these rumor are true compation is tough now and market aren’t that good since Chinese came in. It will be the most underwhelming flagship phone after S5. I bet samsheep will find ways to glorify it anyway. Won't have to glorify it, it will glorify it's self.